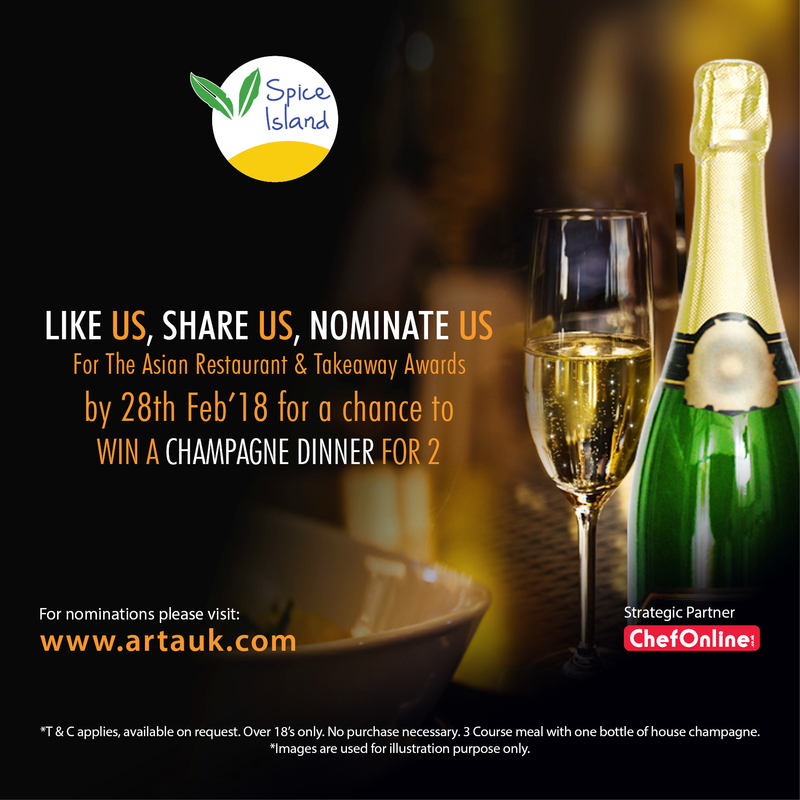 Spice Island has been ranked as one of the best Indian Restaurant & Takeaway in Englefield Road, Islington, London serving traditional wonderful, vibrant Indian dishes. 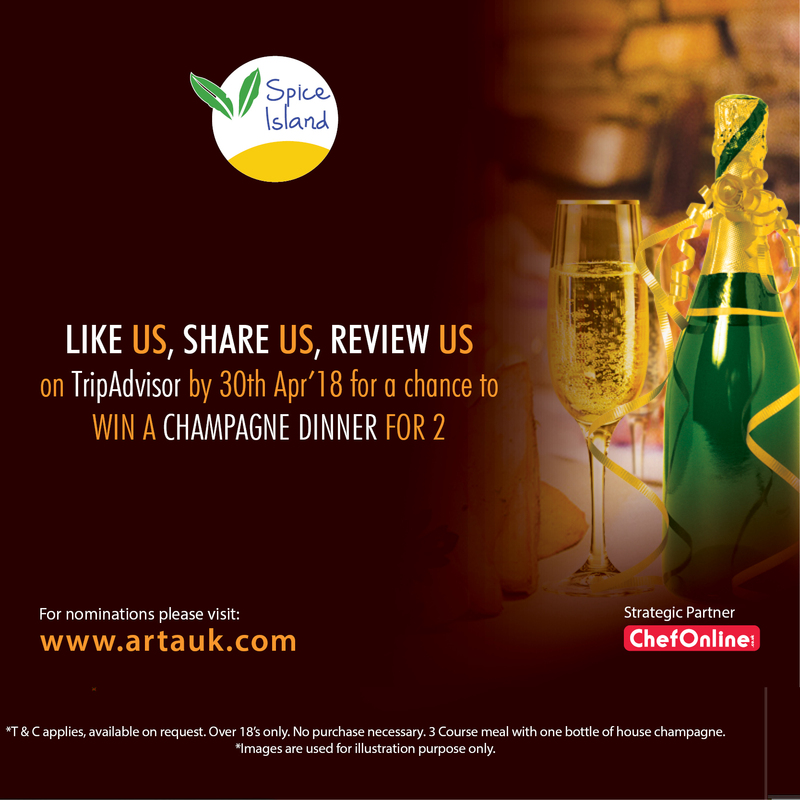 We take a great deal of care to our customers and provide delicious food by exquisite aromas glowing colours and earth flavours, professional service from our highly skilled chefs, efficient management and an excellent dining ambience to make Spice Island an unforgettable experience. 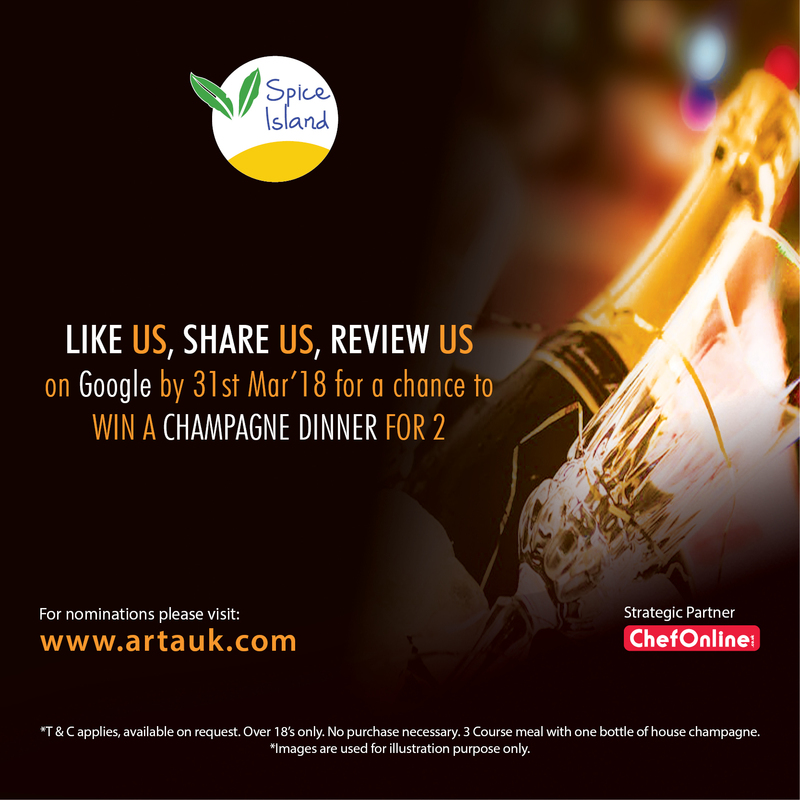 By nominating Spice Island, you will automatically enter ARTA 2018 Grand Prize Draw in addition to all our monthly prize draw.